Realme is all set to introduce the Realme 3 Pro smartphone at an event in Delhi University on 22nd April. Now we have some more information about the upcoming Realme 3 Pro smartphone. The device is now spotted passing through the benchmarking site Geekbench. 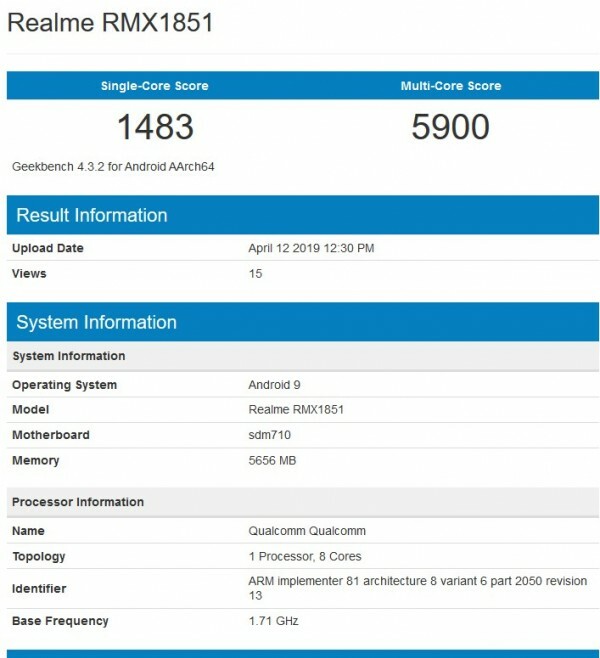 As per the Geekbench listing, the Realme 3 will come with an Octa-Core Qualcomm Snapdragon 710 mobile platform in it. The device is also listed with 6GB of RAM in it.